After the financial crisis, the conventional wisdom was that too-big-to-fail Wall Street banks should do less exotic and risky stuff — less packaging and trading of CDOs, CDSs, rate swaps, and other complex derivatives — and get back to the kind of “plain” things bankers did in the old days: advising companies on mergers, picking stocks and bonds for clients, wearing suspenders, sleeping with their secretaries, etc., etc. Well, now some of that shift is happening. Today, Bloomberg reports that big banks “have rediscovered the appeal of the mundane business of managing money for clients” now that new regulations have made all the exotic and risky things less profitable. Is this a good thing? You would think so! According to the article, the share of net revenue at big banks that came from asset management — the plainest of all plain things a bank can do — has grown from 23 percent to 28 percent in the last five years. Trading revenue — the risky stuff — is down from 49 percent to 43 percent. Wall Street banks would obviously prefer to do more trading, on balance, since having big, Gatorade-chugging alpha males generating billions of dollars in profits is more fun than having a bunch of overpaid Fidelity brokers shaving off half-percent fees. But until these banks figure out how to trade effectively in the post-Dodd-Frank era, and until investment banking revenues recover, they’re stuck making money the old-fashioned way: managing mutual funds for clients, who include everyday investors as well as big pension funds and the like. Managing these funds gives banks a steady flow of (lower) fees and allows them to keep their overall volatility in check. Shareholders like it, too. Goldman Sachs’s stock and bond mutual funds have trailed about 61 percent of their respective peers on average over the five years ended Sept. 30, and about 52 percent over the past three years, according to data from Morningstar Inc. in Chicago. 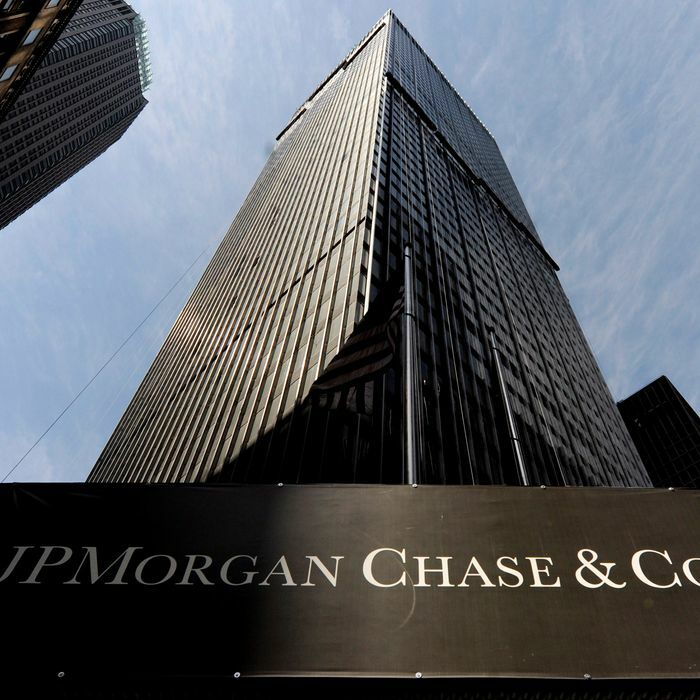 JPMorgan’s mutual funds have been beaten by 42 percent of rivals over the past five years, while Wells Fargo’s have lagged behind 44 percent, the Morningstar data show. Another problem, as detailed by the New York Times this summer, is that when Wall Street banks like JPMorgan Chase run mutual funds, they often encourage their financial advisers to use sketchy tactics like exaggerating returns and hard-selling the bank’s own funds in order to increase profits. So, here you have a dilemma: On one hand, the things Wall Street banks were doing before the crisis hit cost residents of Main Street dearly, by killing the housing sector and drying up the credit market and requiring a big bailout funded by taxpayer money. On the other hand, the solution to those problems — having banks do things like manage mutual funds and ETFs, which they are not very good at doing — is also costing people money, through their pensions and personal portfolios. In other words: Whereas it used to take the unraveling of a whole chain of risk safeguards for any of Wall Street’s badness to affect the personal finances of real Americans, that risk now flows to Main Street directly. And it’s only going to get riskier. One bank in Bloomberg’s article, Deutsche Bank, likes asset management so much now that it “seeks to double profit at the unit by 2015.” How do you think they’re going to pull that off? Either by signing up lots of new clients, stealing market share from other asset managers, or — the most likely way — increasing their fees, regardless of how their funds perform. It is true that banks running a bunch of mediocre mutual funds is less risky, systemically speaking, than having massively leveraged balance sheets and prop trading groups putting billions of dollars of the bank’s own capital at risk. Mutual fund investors, if they care to, can always flee to better-performing funds. And given the choice between the new risk (having money in a mutual fund that underperforms its peers and carries increasingly onerous fees) and the old kind (being the last links in an interconnected risk-chain that can kill the entire economy if it snaps), I think most mom-and-pop investors would take the new. But let’s not kid ourselves into thinking that Wall Street’s newfound love for old-school asset management doesn’t come with a cost.